The purpose of this course is to provide students with an in depth look at living organisms and their environment. 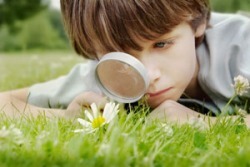 We will study the structure and function of living organisms, as well as how they interact with their surroundings. 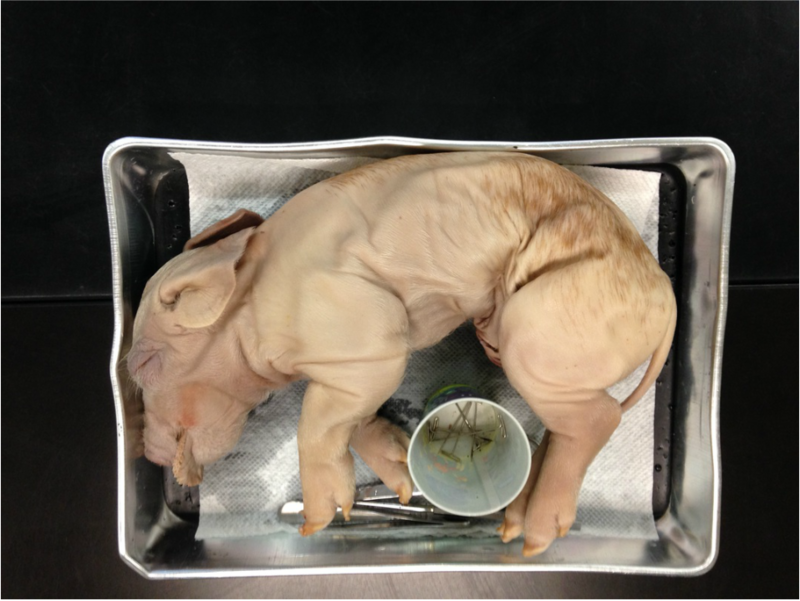 Also, this class allows the students the opportunity to see detailed animal structures through preserved specimen dissections. As an Honors level class, the material will be covered at a heightened pace. This includes the expectation that most of the textbook reading will be completed independently before coming to class. Click here to check your current grade online! YAY! FINALLY! You did it! So proud of you all - great work! 2009- 2010 Honors Biology Students' Biomes Song performance! 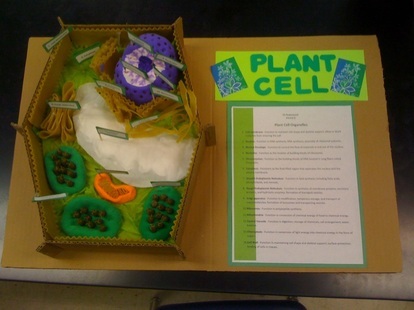 The Incredible Cell Model Project! 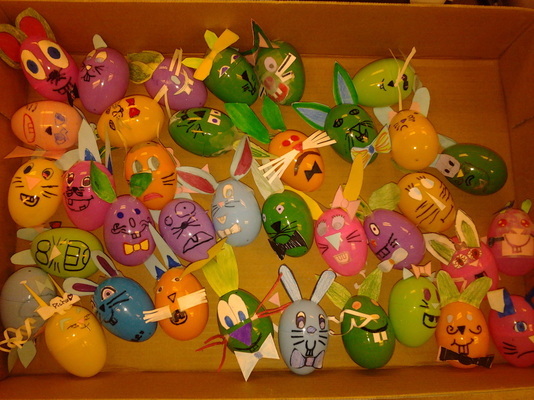 Here's our family of Bunny Babies, based on all our genetic traits! They look so cute! Due Monday, 6/2- BRING TEXTBOOKS AND EXEMPTION FORMS! Due Thursday, 5/22 - Flatworm lab (all diagrams colored- file below) *PERIOD 2 ONLY - Lab due Tues. 5/27! * HUMAN BODY SYSTEMS QUIZ on Tuesday, 5/6! DUE Tuesday, 4/1 - Ch. 34 vocab (all bold faced words in chapter- 37 total) *Biomes Foldable- Period 2 only! Due Tues, 3/18- Notebooks collected! Due Monday, 2/3 - Ch. 10 Outline notes for 10.5-10.16 in notebooks; Use headings, highlight all vocab words used, and be sure to cover all points for each section! (see file below for outline guide) *EARLY SUBMISSION DUE Friday, 1/31! Due Weds, 12/4- Ch. 8 objectives (8.12-8.23) *see file below. Due Tuesday, 11/26- Ch. 8 objectives (Introduction-8.11 ONLY!) *see file below. *Ch. 7 Quiz on MONDAY, 11/18! Due Friday, 11/15- Ch. 7 objectives; Finish Cell Respiration/Photosyn. Review worksheet AND CH. 31 Plant structures diagram worksheet! *Ch. 6 Quiz on Thursday, 11/7! *Ch. 5 TEST on Monday, 10/28! 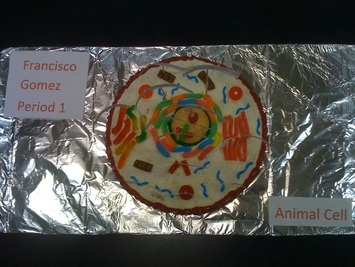 ***EXTRA CREDIT- Cell Model project due Monday, 10/21! *Ch. 5 Vocab Quiz on Thursday, 10/17! *Chapter 4 TEST on THURSDAY, 10/10! Due Weds. 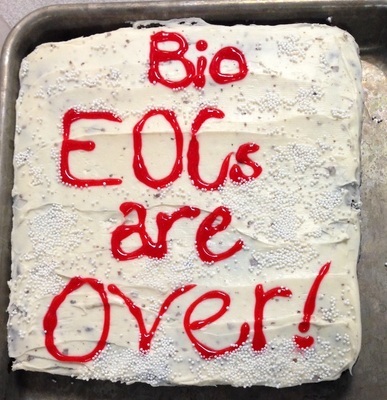 10/9 - Plant/Animal Cell and Surface Area/Volume of Cells LABS! DATE CHANGE*Ch. 3 TEST on Wednesday. 9/25! *Ch. 3 vocab quiz on Tues. 9/24! DATE CHANGE *Chapter 2 TEST on Friday, 9/13! * Ch. 2 Vocab Quiz on Tuesday, 9/10! *Ch. 1 Test on Thursday, 8/29! Test will include multiple choice and short response questions! Due Friday, 8/23 - Finish virtual lab questions (Exploring Plant Responses) on worksheet AND finish Tower of Cups graph on GRAPH PAPER!